Christmas 2018 - What's On? For many of us, Christmas brings up so many emotions, memories and expectations. We have one nativity story, but it can seem like we all have very different Christmases. What's On, Where and When? 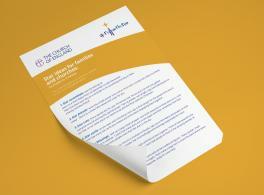 There's lots happening across the four churches of the Grays Thurrock Team Ministry. It's our privilege to host many of the local schools and colleges, and other organisations, for their Christmas services and celebrations, as well as opening our doors to everyone to come and join in with our own services, lead by different groups within the churches. 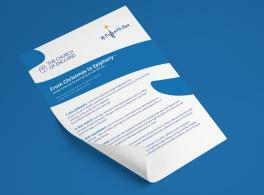 Free resources for the Christmas season from the Church of England. We welcome our friends from Thurrock Spectrum Brass for their Christmas concert. A community event with a prayer tent, craft, stalls and an ice rink! All accompanied by mulled wine and a chance to join in with your favourite carols from 7pm. St Luke's Hospice offers this service as a time to remember those who will not be with us this Christmas time. The choirs of St Peter & St Paul's and St Thomas of Canterbury are pleased to be joined by members of Grays Town Band, to lead us through the story of Advent, Christmas and Epiphany. Come along and join in with your favourite traditional carols, hear the story of the Nativity told through bible verses, and listen to music by John Rutter, Harold Darke and others with a new arrangement of 'Away In A Manger' written especially for this year's service. ​A midday service for those who wish to escape the hustle and bustle of the work day, or who may not be able to get to other services throughout the season. The Crib Service is a chance for children of all ages to dress up, be part of the story and experience the wonder of the Nativity. This service runs over midnight into Christmas morning, allowing us to welcome in the day of Jesus' birth and, in joyful celebration, finally sing the classic line "Yea Lord we greet thee, born this happy morning". Don't forget to bring your present, and also hear about the best gift of all!